Who did you expect? Elmer Fudd? Yeah. You remember that famous catchphrase spoken by His Royal Airness, Michael Jordan, back in the original commercials for Nike. Admit it, 90s kids. You know you do! 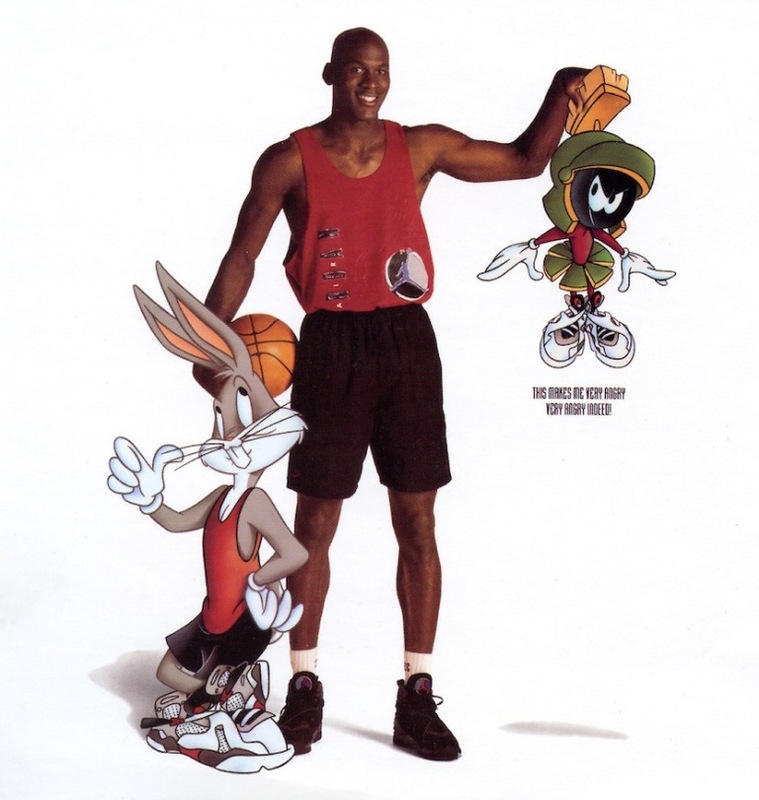 This famous phrase was a tagline for one of the greatest team-ups in animation history…which ultimately resulted in the blockbuster sports comedy Space Jam (1996). In case you missed it, MJ’s Brand Jordan celebrated the 20th Anniversary of this cornball film in a very fun way. Back in December 2016, Nike produced two Air Jordan commercials that bring back all the corny sports clichés and screwball comedy we remember from the original Jam (not the stuff in the jar). And these promotional spots surely do not disappoint. Maybe you’re a die-hard fan of the sports classic. Maybe you’re just an animation fan who appreciates the movie as wacky fine art (like me). Either way, you’ll find each of these vids a real treat. Call that one a five pointer. What I especially love about the “Defy” commercial spot is its homage to the classic Air Jordan commercial as well as its use of beautiful…and I mean BEAUTIFUL…traditional animation, all brought to life with the rich colors of computer cells. Space Jam itself has some of the most gorgeous character art ever put on the big screen (thanks to big name animators like Uli Meyer and Bruce W. Smith), and this commercial has earned a place amongst those ranks. Unlike most revamped cartoons (which have a bouncy Nintendo feel a-lah Anime Studio Pro), the “Defy” TV spot is a warm welcome back to the underdog of filmmaking…a good old-fashioned pen and paper (or touchpad in this case). 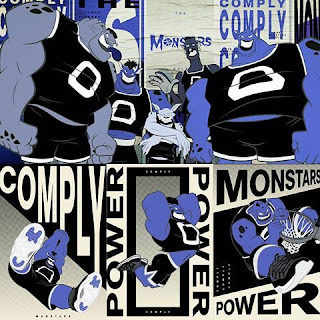 And, of course, Nerds United will also be happy to see the return of the original mean-team: the Monstars. And this time, they are back with a vengeance. After a pretty awesome arrival in an electric storm, they literally plunge the world into a dystopian future where violence and fouls reign supreme. With the help of NBA superstars Blake Griffin, Jimmy Butler, and everyone’s favorite carrot-chomping rabbit, some ragtag kids enter the ring to challenge some of the craziest aliens ever. Also, am I the only one who finds the second spot (narrated by returning cast members who played the original Monstars) a bit creepy? I don’t know if these commercials are any hint of the sequel, which is reported to be in production, or whether this is a standalone campaign. If the "Defy" videos are teasers, then I can honestly say that it has given me hope for the film. I don’t expect much of a story. Heck, I don’t even consider the first film outstanding. But I am so happy that Warner Bros. will be using 2D to celebrate a new chapter for this corny, insane, and psychotic 90s trip. 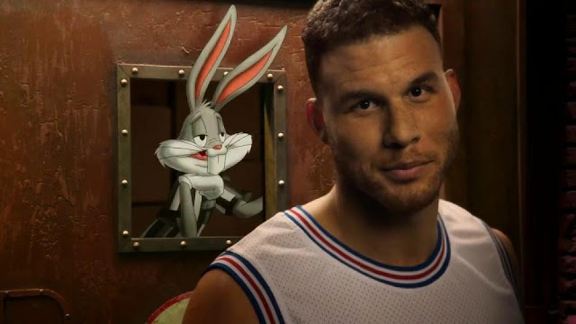 It might be a goofy, pointless film, but Space Jam is still a historical pillar in entertainment. All Content is property of Warner Bros., Inc. Brand Jordan is associated with Nike. Space Jam is available on DVD and Special Edition DVD.